My REAL classroom! | Primary Planet! 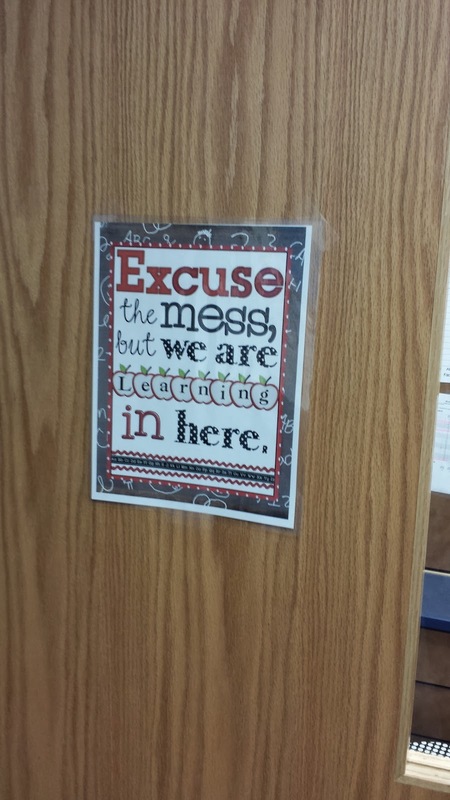 When I saw that Teaching with Grace was doing a linky about what our classrooms look like when they are not perfect I HAD to join the fun. 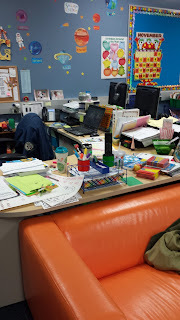 I LOVE blog hopping and looking at all of you all's classrooms, but sometimes I get a bit discouraged because "my room doesn't look like that!" 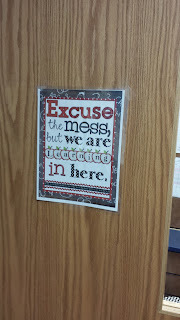 Of course, when I post about my classroom I always try to post "perfect" pictures, but most of them time my classroom is much less than perfect! 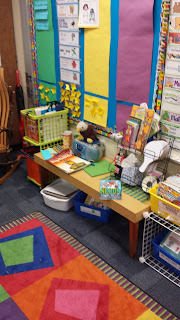 So, here is some pics of what my classroom typically looks like at the end of the day. 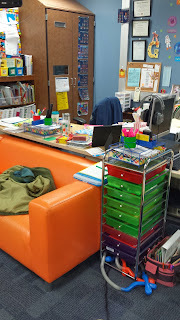 This is a view of my desk and couch from my small group table. Yes, there are 3 different coffee travel mugs on my desk! This is the table next to the whole group meeting area. 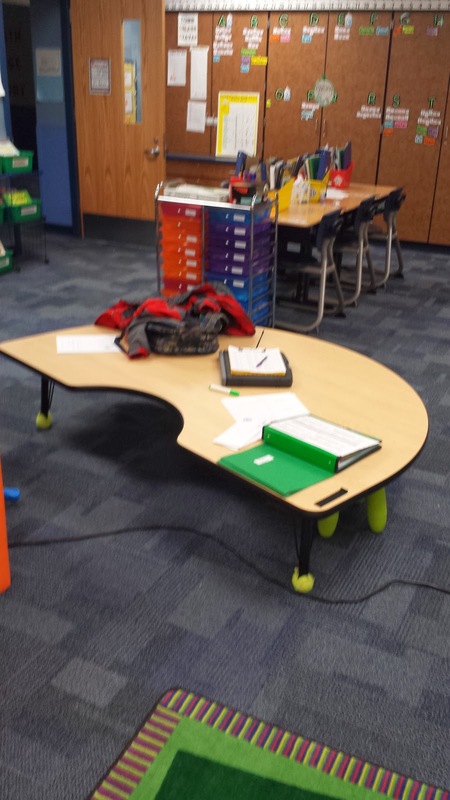 We call our rug the "Magic Carpet" because that is where all the learning magic happens in our room! This is my small group meeting table. My son stowed his jacket on it! This is a closer view of my desk. I think that is my desk, it is hard to tell! 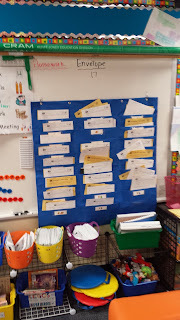 This is where my kiddos turn in all of their work! When we have a really productive day, it gets a little full. Well, there is it! It's not perfect, but I love it! What does your "real" classroom look like? Link up! I love your room! I think we might actually be related.. I collect my coffee mugs through out the week too :) Plus my son totally does the same thing! Drives me NUTS! 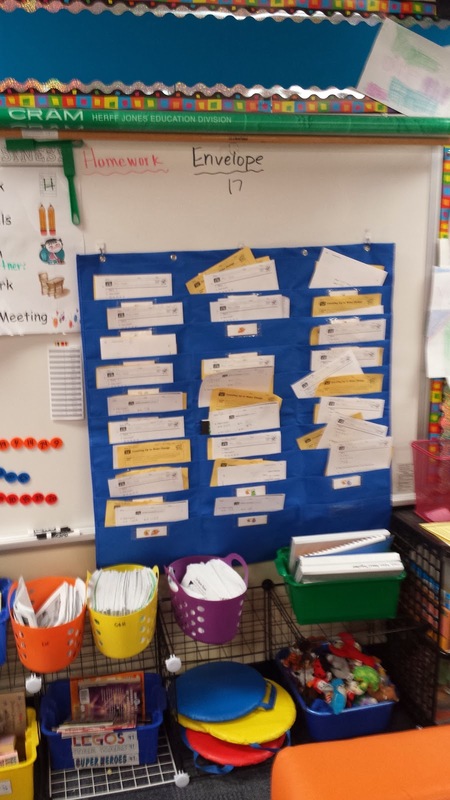 I'm thinking that I need to find that pocket chart you use for your kiddos. Perfect for not having to divide out all the work.. Hate that! Thanks again for stopping by and linking up!! Thanks for stopping by Jennifer! 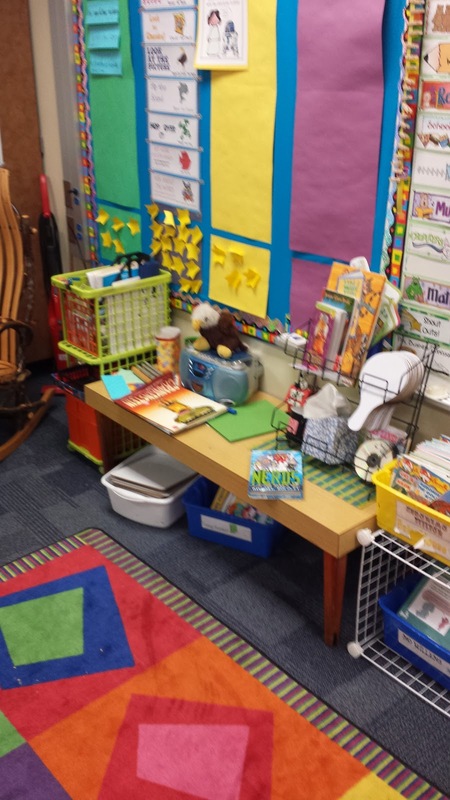 It has been a lot of fun to see everyone's "Real" classrooms! Your room looks great! Far cleaner than mine! I often wonder how much learning and work is actually being done in classrooms that look perfect all the time. Learning is a messy process! I have to agree Justin! My kiddos this year are pretty good about cleaning up after themselves. A little "magic trash" goes a long way! I call it "treasure trash", but I like your name a lot better! My kiddos are good about cleaning up after themselves too. I need them to remind me to clean up after myself! Oops! Treasure trash! I like it! I'm laughing because I have 4 travel mugs on my desk! I just keep buying new ones! Thanks for bringing a smile to my face, and a little bit of truth too! Thanks so much for stopping by Amy! I am glad to know that I am not the only one!